We're back with a look at possible Australian designers and high street brands (although we think it unlikely high street retailers will feature, we thought it worth mentioning) we may see the Duchess wearing during next month's royal tour. Our Australian readers will be familiar with Sydney-based label Camilla and Marc. Brother-sister team Camilla Freeman Topper and Marc Freeman have established a sophisticated tone that reflects the ease of the Australian lifestyle. There's very much a vibrant fresh youthful feel to this brand. 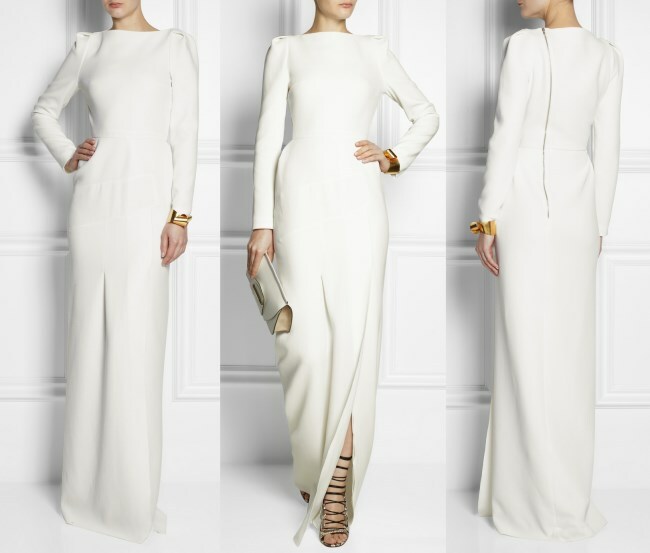 Below we look at the cocktail Filter Dress and elegant ivory Monochrome Dress. The statement piece has been created with the highest quality Italian jacquard and I love the fitted silhouette and trumpet-shaped skirt. Camilla and Marc are known for incorporating prints into their feminine designs, and we know Kate is a fan of prints (remember her Hobbs Dalmatian Coat and Max Mara Leopard Print Dress?) 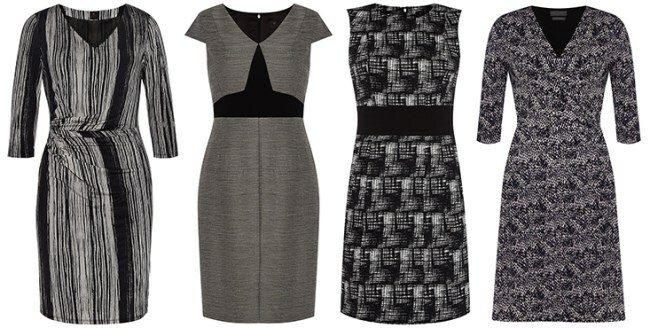 The Vector Dress is an excellent example of the label's use of prints. We also look at the neutral Platform Dress, a piece which would work well for the Duchess if it was lengthened. 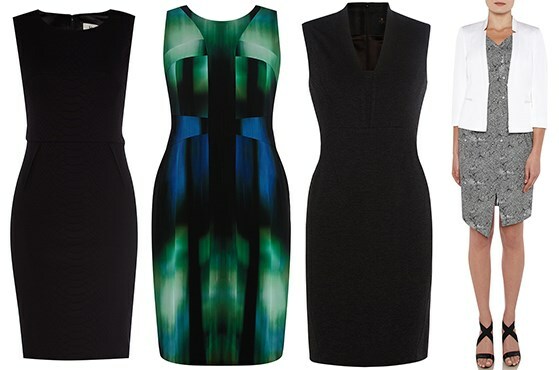 A cursory look at the Resort 2013 Collection shows it offers a selection of gorgeous dresses perfect for the receptions the Cambridges will be attending. The lace garment on the far right is very Kate. 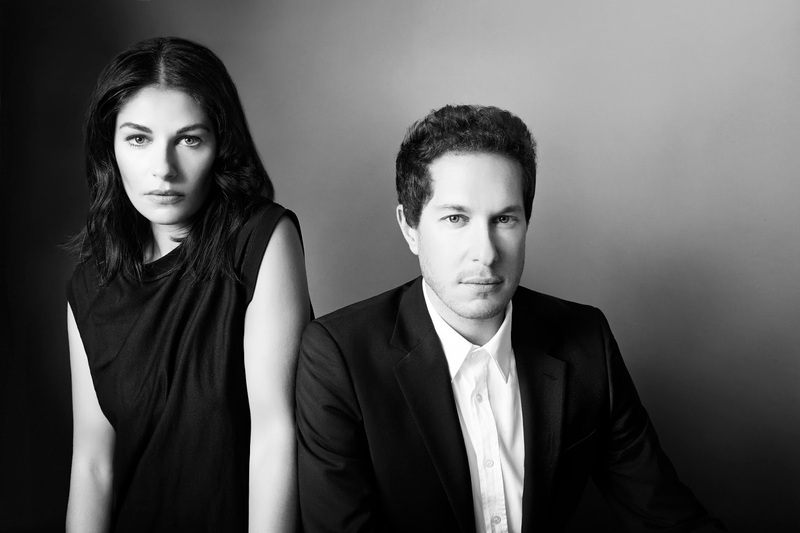 Those who enjoy the brand's style may be interested to know Camilla and Marc's designs are carried at ShopBop. and Matches. Next, we look at a label suggested by several of our Australian readers. David Lawrence was the first apparel brand specifically introduced to satisfy the changing needs of the Australian career woman. It debuted in 1978 offering classic staples with an emphasis on suiting and tailoring. Looking through the website it reminds me quite a bit of Reiss and L.K. Bennett. Our readers from Oz can correct me on that if I'm mistaken? The designs are professional, practical and very much appropriate choices for the multitude of daytime engagements Kate will be undertaking. Are they particularly exciting pieces? Perhaps not, but somewhat similar to items we've seen HRH wear before. Moving on to another popular and incredibly talented Australian designer: Carl Kapp. Born in South Africa, Mr. Kapp graduated in clothing design in 1990. 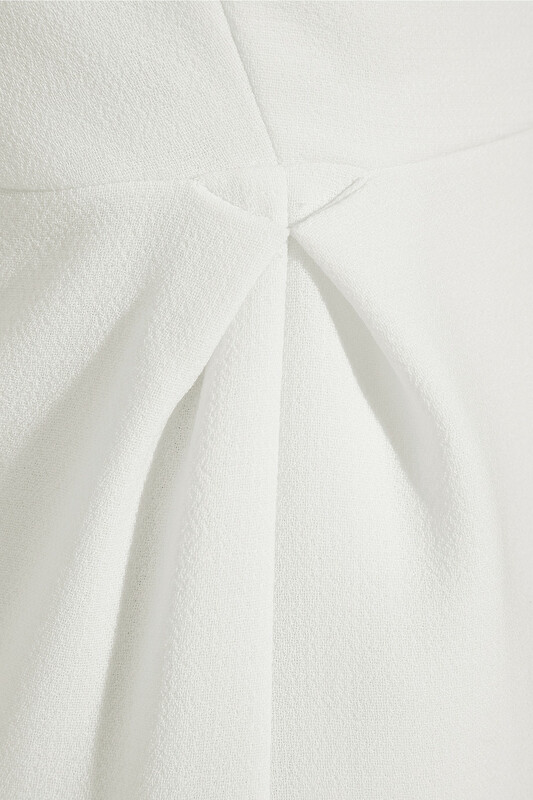 The designer has an obsession with luxurious garments, each piece is soft and tactile. Carl's favourites include wool, silk, cotton and cashmere. 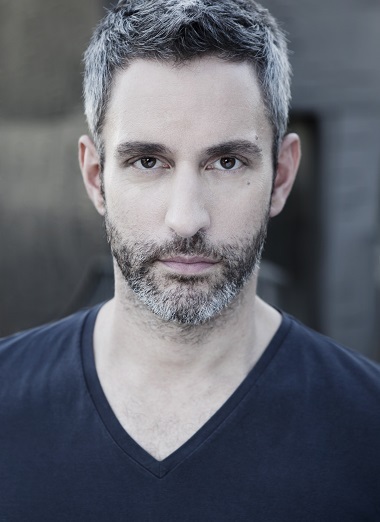 His celebrity clients include Hollywood A-Listers Cate Blanchett, Rose Byrne and Nicole Kidman. 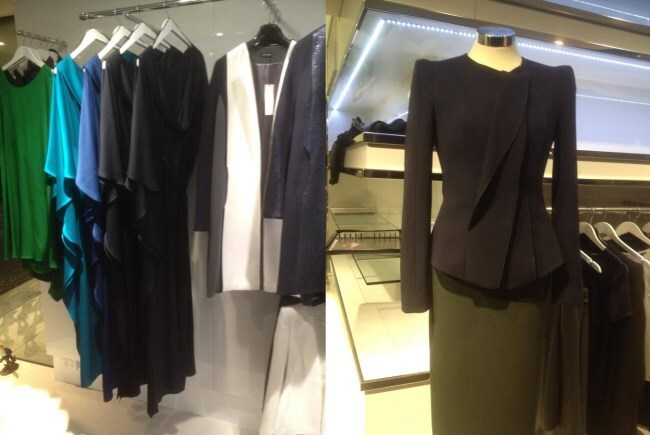 The Autumn/Winter 2014 Collection includes some beautiful designs. It is entirely possible the Duchess will order bespoke pieces from Australian and New Zealand designers. If this is the case I would wager Mr. Kapp is a strong contender. There's superb attention to structuring and tailoring. The current Spring/Summer Collection includes gorgeous colours. I do hope we see Kate incorporating more colour where possible. I quite like the versatility of these garments; they could be worn with wedges or a smart blazer and heels. The designer's Facebook Page offers a glimpse inside some of the most popular designs and complete looks. Did you know Jigsaw has quite the presence in Australia? Undoubtedly a far better selection of designs to its UK counterpart in fact. For our newer readers, Kate was offered a job as an accessories buyer at Jigsaw in London back in late 2006. During her time there she was photographed wearing an array of the brand's items. It has been reported Kate will favour high-end designers over the high street, though this originated from the same Mail Online article which claimed Kate would need "lots of tiaras". With that in mind, I think we'll continue to see a mix and Kate sticking to her signature style. Jigsaw Australia's Lookbook titled 'British Romance' is well worth viewing. 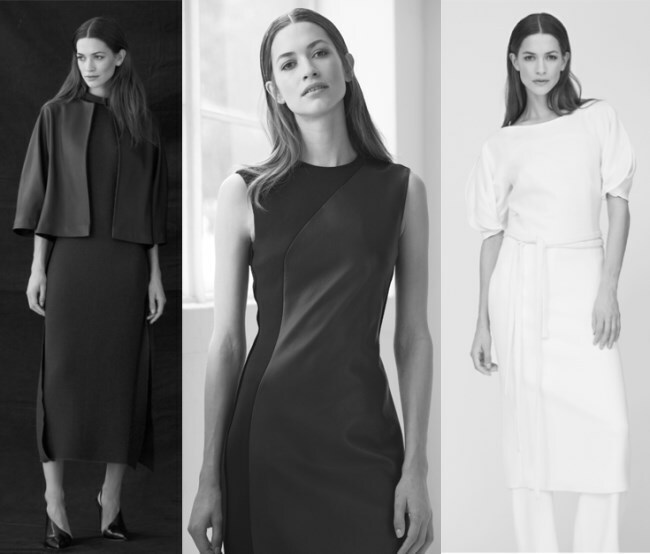 There really is so much to like at Jigsaw this season. 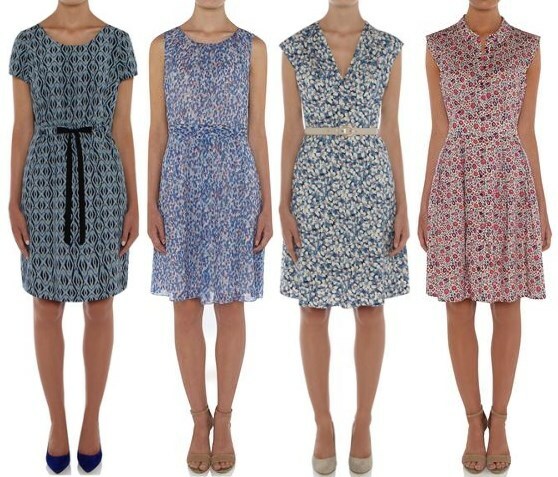 Delicate, feminine dresses including the Graphic Diamond Dress, the Rainbow Print Pleat Dress, the Blue Daisy Dress and the Danjo Liberty Dress. The label's outerwear pieces are both stylish and practical. Below we look at the Bronte Cape (I would love to see Kate in another cape), the double-breasted Hopkins Coat the striking blue Kipling Coat and the sophisticated Wilde Coat. Separates include pencil skirts and pretty floral and lace tops. The Lace Panel Dress, Embellished Neck Dress, the Infinity Beaded Flapper Dress and the Vintage Poppy Dress are glamorous dresses perfect for evening functions. Our other update today involves news regarding Kate's iconic Roland Mouret gown. The beautiful garment has been released by the designer (with thanks to Ashley Marie), renamed as the Ella Wool-Crepe Gown. The off-white frock features gathered shoulders and sides and an exposed asymmetrical zip fastening along the back. It retails for €2,935 at Net-A-Porter. Undoubtedly the piece will be a sell-out for the designer. He actually looks a bit like Mr. bluhare. Albeit a younger Mr. bluhare! bluhare...LOL. So true, isn't it? David Lawrence is very much high street/chain store. I can't imagine it would be a contender. Iconic Australian brands for day wear include Carla Zampatti, Simona and R.M. Williams. Perhaps even Leona Edmiston. Yes, I agree - Carla Zampatti would be an excellent choice - or her daughter Bianca Spender. I would also add Alex Perry for evening, or designer Paul Vasileff (label Paulo Sebastian) for a bespoke dress. But hopefully, Danielle, they will choose some iconic pieces from R.M. Williams - surely an Akubra hat or some RM boots! One of New Zealand's biggest designers is Trelise Cooper, and I'm hoping Kate does wear some of her simpler dresses - I think they'd really suit her. I agree. Trelise Cooper would be a likely choice. Bronagh Key - the wife of our Prime Minister John Key - wore Trelise Cooper when they attended the royal wedding in 2011. With thanks to those who suggested Trelise Cooper, we'll be including in her in our next fashion post! And this is one of the reasons I love this blog: all of the great comments and suggestions. Charlotte, it's great that you collaborate with your readers! Looking forward to the next fashion post. Great post Charlotte!! Thank you for all the great info and styles! There are some lovely dresses there. Thank you for sharing. I love the St. Patrick's Parade event. So looking forward to it! Can't really say I am very keen on any of these clothes. Many of them are so dark---but then on Catherine,almost anything looks good. I have a strong suspicion that we'll all be so busy 'oohing' and 'ahing' over George that nothing else will matter too much. I LOVE Camilla and Marc! I wish I could afford some of their pieces. Tuula Vintage features them on her blog often too. Oh, that gown, I think it is so stunning and classic. - Mrs. T in Chicago. I was looking at Australian and New Zealand designers, too. I found an outfit by LOVER that I think the Duchess could wear.. (http://www.net-a-porter.com/product/434849) I can't wait to see what she wears! Love the fashion posts, Charlotte! This is just my personal taste, but I HATE those white sandals on the Carl Kapp models! Ugh - look like moon boots! You are being too kind, Luxembourg. Not only are they awful, they make the poor model's feet look like two barges. bluhare, I took the quiz and I am the Queen. LOL. Who are YOU??? Kate. Really. I was so hoping you'd be Camilla!! I took the quiz and got Baby George! Bluhare - thank you for this fun quiz, I really enjoyed it! I am with Royalfan - HMQ. OMG, bluhare. Could you imagine?! I'd rather be one of the cogris. I got the queen!! Haha that was fun. Thanks bluhare! Especially on a fashion post that I find boring, its nice to see something like this to make it more exciting. You're welcome, everyone. I thought it was great fun too. Couldn't believe I cam up as Kate, but thought you guys would enjoy that one. Hey bluhare I got kate too. The irony. Thanks for posting Bluhare! I was Kate too! Great fun! You're welcome, Kate. I thought it was great fun. Portia, LOL. I doubt the irony is lost on anyone!! Holy crap! I got Prince Charles. No idea how that happened! Maybe because I picked the grumpy looking dog.... hey, no interpretation please!! I was also Kate, though I expected at my age to be the Queen. (I'm not that old, however). I suppose it stands to reason that if we're devotees of a Kate blog, we should score like her. YIKES! I'm Prince Phillip. I'm very much afraid of what that really says about me . . .
Hahaha I got Harry! Well I can be a bad girl, not that naughty though. I wonder what Rebecca Deacon does about clothes. I realize that she stays in the background - On a YouTube video, I saw her jump out of a car and scurry around a corner during one of Kate's engagements this year. Only to emerge when Kate was well ahead. Rebecca sometimes looks a bit unkempt - messy hair and hems too short. I assume she is going to have get some clothes for the tour. Even for high street clothes, this could add up for a tour. It will interesting to see if she stays in the same outfits or changes when Kate changes. Rebecca may have a clothing allowance as part of her salary package. Just think of the formal events that she has to goto. Miguel can wear the same tux but Rebecca is going to need a couple of different gowns. Oh, I wonder that too! We speculate so much on what does, or doesn't go on behind the scenes of the Royal family, that I often find myself as intrigued about the Machine as the individual Royals! - Mrs. T in Chicago. The machine.... I am intrigued, as well, Mrs.T! I do like Issa, but I'm poverty stricken right now. Not fair! Charlotte did you not get my post. When I posted it there were no comments yet. I have also noticed that posts are followed by two days of messages, but apparently the message counter keeps going after publishing ends. The number of messages mounts even though there are no new ones visible. Anonymous, part of that (on the highly commented one) is the dreaded "Load More" button. I used to wonder about that until I noticed the button. The last two posts had to be loaded four times for all the comments to show up. Thanks for pointing out the button! all of my posts are not getting posted either. I thought i was being censored? did anyone notice in the picture of Kate above, she was wearing the ribbon/bow ring? Which picture? In the pre-marriage photo she is wearing simple rings. In the Mouret pictures, I can only see her engagement and wedding rings in the first photo, and can't see rings in the second. Anon 16:17...the rings are difficult to see clearly, but we're talking about the pre-wedding photo. Definitely hard to see, but you may be right about the pearl and garnet ring. Did she really wear the ribbon/bow ring then? Isn't it supposed to be part of Prince Charles's wedding gift? A couple of the Jigsaw pieces are nice, but nothing screams at me. Those sandals look like post operative bunion surgery shoes. They're probably comfortable . . . at least I hope so. That's the only reason I can think of to wear them! That one model does look like she needs to find her hairbrush though! Gad, I'm bad. Meangirling fashion models!! Haha light socket! Royalfan I couldn't agree more! Hi Kate...you know the sad part? Sometimes I crack *myself* up. Then I click "publish" and think to myself, "boy, you need a life." LOL. kate needs a stylist like charlene of monaco who is always elegant and this is a plus for a woman in the their position, i hope kate does something about her hair its always all over the place and very distracting! very inspiring and interesting!very nice accessories and styles.massive thumbs up! I'm not a fan of any of the pieces except a few of the jigsaw dresses. I'm sure kate will opt for bright spring colors for the tour and maybe even for some pastels. She will slso probably stick to more casual outfits. Would you wanna be on a boat wearing a high designer? Anyway, thanks for posting charlotte. I'm glad the couple is back and hopefully getting ready for monday. Dont forget to wear green tomorrow! I have a question for the more tech savvy posters. We can't post clickable links. Does anyone know if there's a work around so that we can post a link that clicks? I've read other blogs where there was some sort of code or something that would make a link clickable. Does anyone know? A clickable link would be a great idea !!! bluehare, you got Kate because you like to laze away on the beach... What else does she like? I'm Harry, maybe because I choose wine over yummy biscuits. I sat and thought hummm, sugar rush, or happy-happy good time...with girlfriends...(or where-ever, whom-ever, when-ever, it is allowed for fun). Thank for the quiz. I didn't wish to be anyone in the royal family, but Ginger isn't so bad. I think it was the tropical vacation, and talking to my family all the time. Which I do. I wasn't lying, and was actually hoping I'd come up as Prince Philip. Bluhare, I have to agree with you. I adore Harry too! I thought I was clicking on a place that looked like Santorini, which I know Kate would likely never visit - but I probably clicked a tropical vacation by mistake. See, I couldn't even tell a tropical vacation if you handed it to me on a platter. Too many months spent backpacking in the wilderness will do that to you ! Oh ! I was hoping to get Harry too, but honestly, I was afraid I would get Anne. Somehow I don't fancy myself to be *that* grumpy either. I agree! Harry is the most fun of the bunch. I am HM The Queen, probably because I went with gin, and a holiday in Scotland, because I also picked red wine and not a corgi. Happy early St. Patrick's Day! We are starting our celebrations tonight! The majority of the tax payer funded renovation was the removal of asbestos from the building, which had to be done. The interior decoration was paid for privately. The recent stories about Kate changing the paint color are changes which would be privately funded. I'm sorry to be a nitpicker but I simply don't buy the whole asbestos story. I think that they were looking for excuses to get the taxpayers to fund the renovation and seized that. Do you really think that all the years Princess Margaret lived there (and brought up two children there) they were not aware that there was asbestos? The fact that there is lead and asbestos in old buildings has been known forever. After she died they let some offices move in there - they did not know about the asbestos? Of course they knew, and had probably done most of the removal years ago. There probably was a slight bit left and they used that as an excuse to refurbish the entire apartment, probably with top of the line appliances and materials at the cost of the taxpayer. Back in the 70's-80's, asbestos was not recognized as the huge hazard it is today. I speak as someone in the insurance claims business since 1968. Depending on what renovations were needed, they might have been able to just cover it up - I did this with an asbestos tile floor in my kitchen 20 years ago - but it's best to remove it if time and budget permits. Haters gonna hate, facts notwithstanding. Everything I read tells me it was necessary, unlike Charles's elaborate reno for Camilla in the Queen Mother's old apartments, when she was merely his mistress. I hope that she wears something fun and flirty! Bluhare, I've said this before, I like you. bluhare, just to clarify, I think that I am drawn to you because of that wolfie/bunny thing, if you know what I mean... But alas, you are magical because you are kind, with that blu and all, and you've been kind to me, argh! Kate is great, perhaps hungry. Do they have a chef yet, anyone? Thank you wolfpup. No wonder you make me nervous!! :) And I'm actually not this nice in real life. I work at it here. They have a housekeeper/cook type person. She's Italian and was teaching Kate to cook Italian (according to press reports when she was first hired). Childcare as needed was in there too, but that's probably changed as they've got a nanny now. I've not read if they have a dedicated chef. The Cambridges wil be experiencing a huge range of temperatures in NZ/AUS in April. This will be very much when Autumn has settled in, so I imagine Kate will be going more so with what she's most comfortable in already. Our climate is incredibly unstable in Autumn. Right now we've experienced a 30 degree C day followed by 19 the next. Most of the pieces above, I'm afraid I can't see Kate wearing. Way too structured to compliment her face and physique (and sometimes awkward to wear). I think Kate will opt to do her nod to Kiwi/Oz fashion with her evening wear. Some suggestions above (sounding like fellow Australians) have made some good suggestions. I'd like to add Anthea Crawford's gorgeous gowns - so suited to Kate, and, Perri Cutten. Although these designers have been around for yonks, new blood has taken over the design helm and the designs are geared towards an elegant and youthful look. Would love the opportunity to wear one myself. Take a look Charlotte, and tells us what your professional thoughts on these designers are. Looking forward to seeing which designers Kate chooses. Not seeing any big wows here but certainly a few looks that would suit her. I'm an old lady and I would not be caught dead in those hideous sandals Carl Kapp showed. Wonderful input from our blog sisters in Oz. You will be our "boots on the ground" for this tour. Counting on you. I'm always a day or.more late and a dollar short on my posts. Charlotte, do you have help,or are you really three people in one as I always suspected. One for us, one for school, and one for your honey. Fashion: just what I like and think would suit Kate. The C&M Vector snake print; the Lawrence bolero-style dress; the Jigsaw Danjo Liberty dress and Lace Panel dress.